Built between the 7th and 12th centuries, Po Nagar Cham Towers are still actively used for worship by Cham, Chinese and Vietnamese Buddhists. 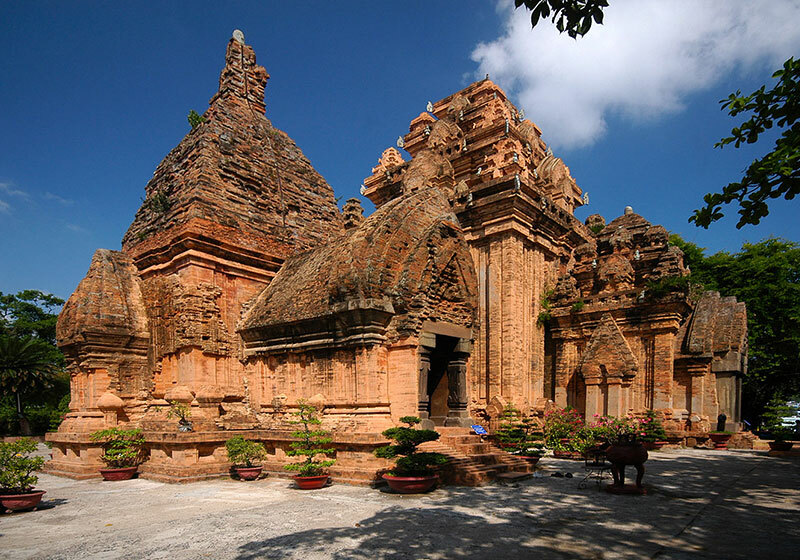 Originally the complex had seven or eight towers, but only four remain, of which the 28m-high North Tower (Thap Chinh), which dates from AD 817, with its terraced pyramidal roof, vaulted interior masonry and vestibule, is the most magnificent. The towers stand on a granite knoll 2km north of central Nha Trang, on the banks of the Cai River. Short Description: Po Nagar is a Cham temple tower founded sometime before 781 C.E. and located in the medieval principality of Kauthara, near modern Nha Trang in Vietnam.